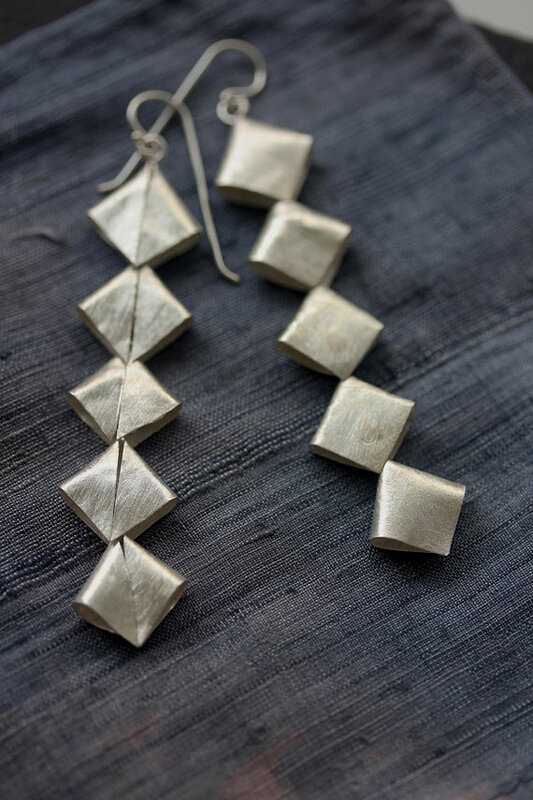 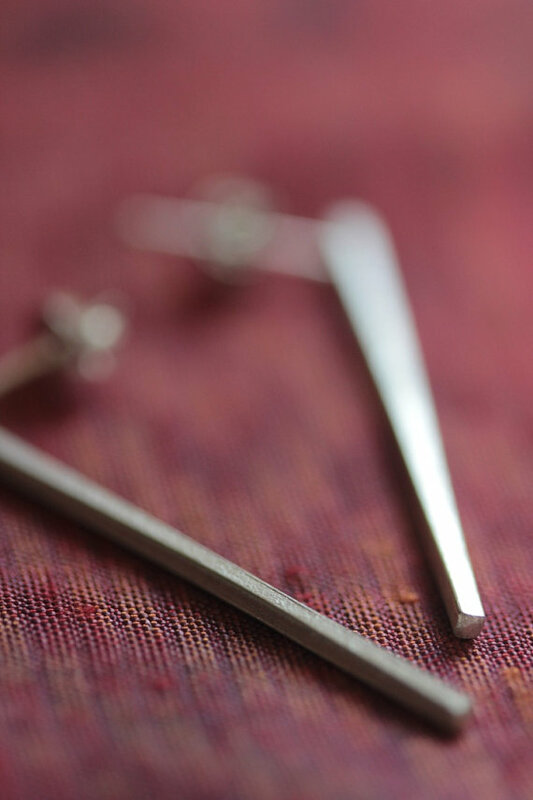 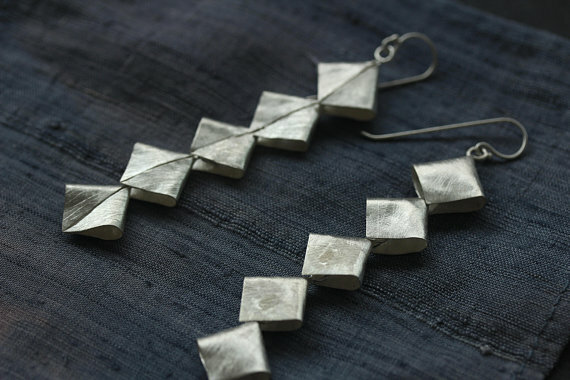 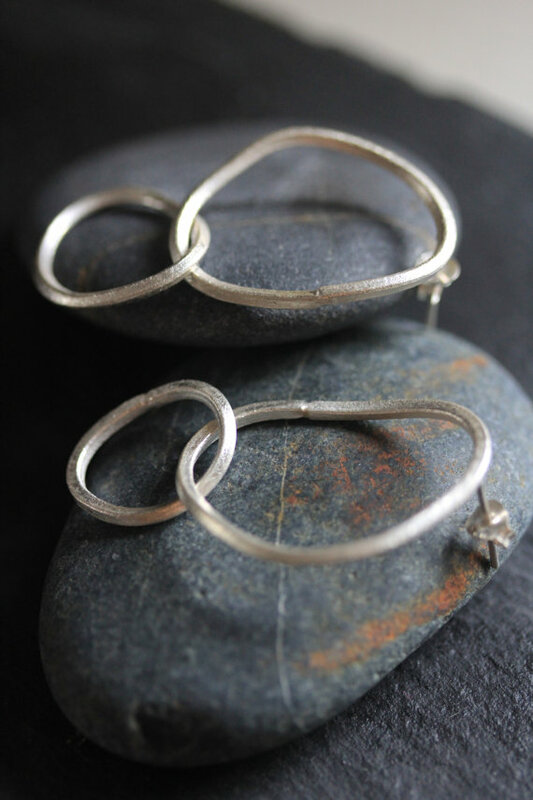 These dangle earrings are handmade from 95% silver, hooks are in sterling silver. 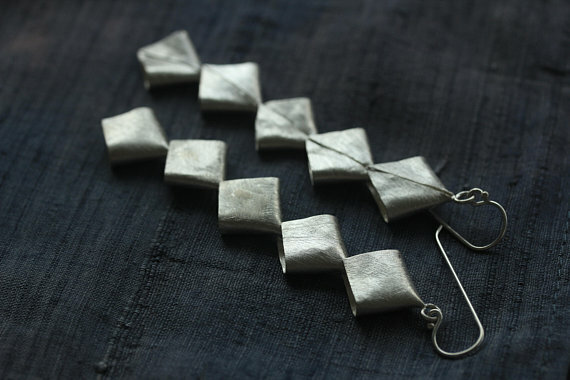 The five peaces are each made of thin silver sheet that was folded to create a diamond shape piece with a visible vertical fold. 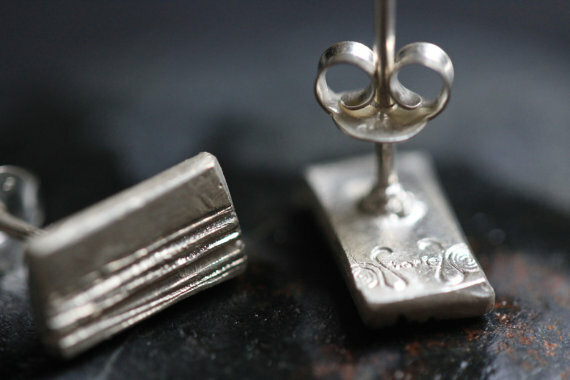 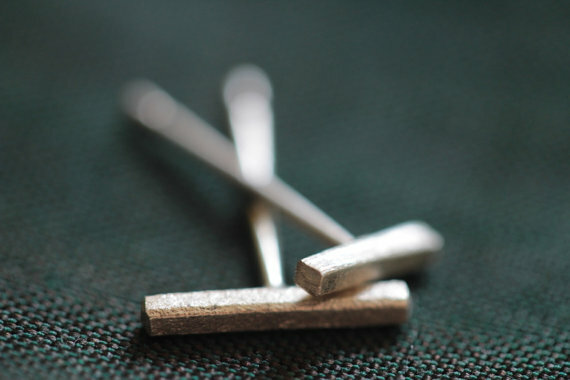 Silver was etched on surface with the so called “cat-fur” effect, typically used by Thai Karen silversmiths. 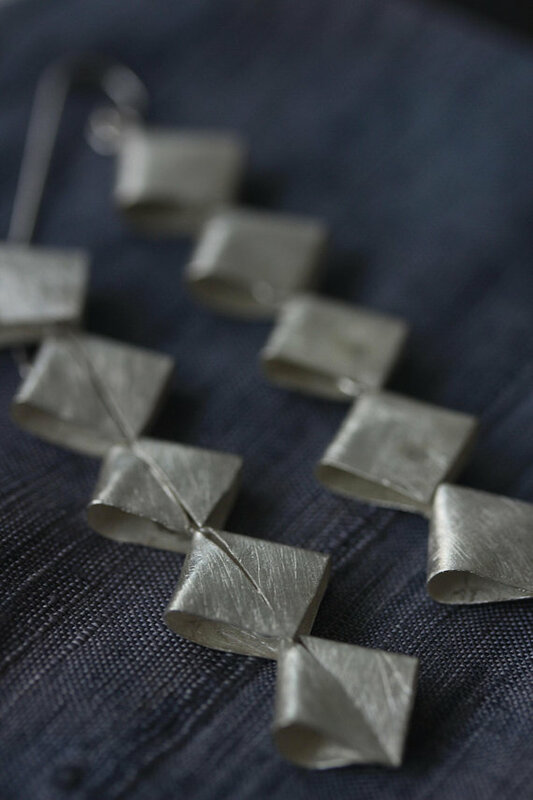 All the pieces have a small loop soldered on the inner side and are hanged one from another so that the pieces move slightly. 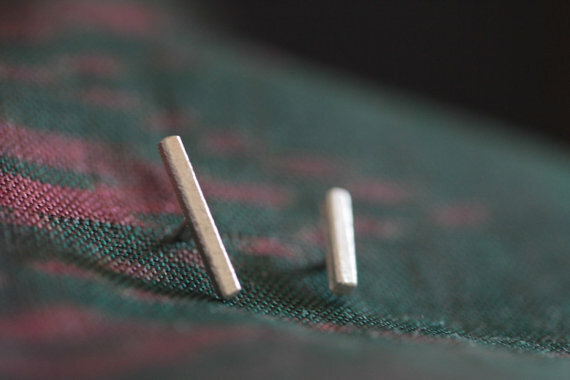 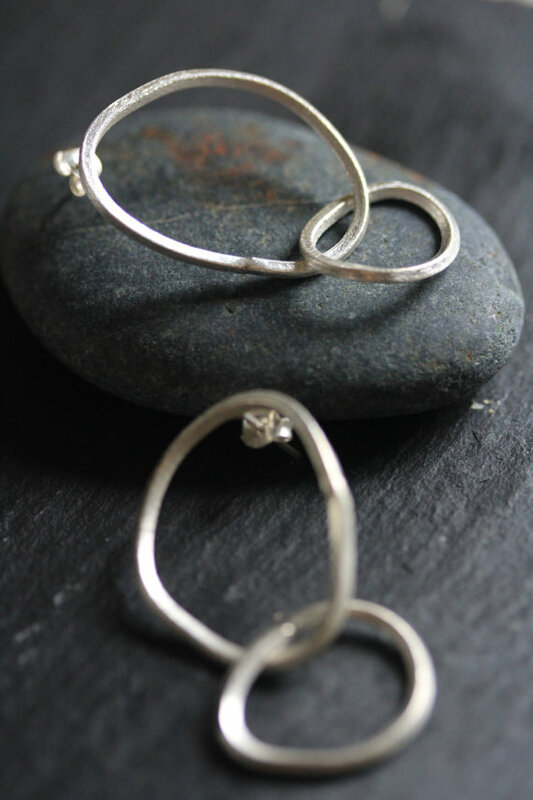 The earring can be mounted on a hook in two ways – so that the fold is visible in front or hidden on the back. 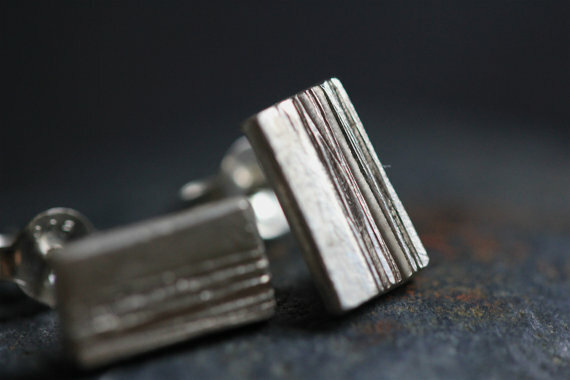 Despite the length they are easy to wear as they are very lightweight. 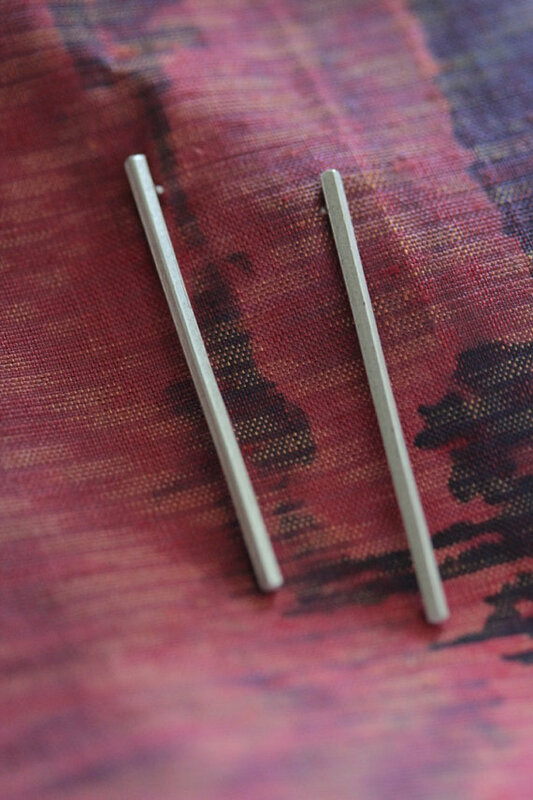 Length: 9 cm including the hook, each piece is 1 cm across widest point.